Here’s my profile for Honey Malt. 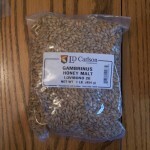 This malt is made by the Gambrinus Malting Corporation and it’s their name for a unique, highly kilned German malt called brumalt. 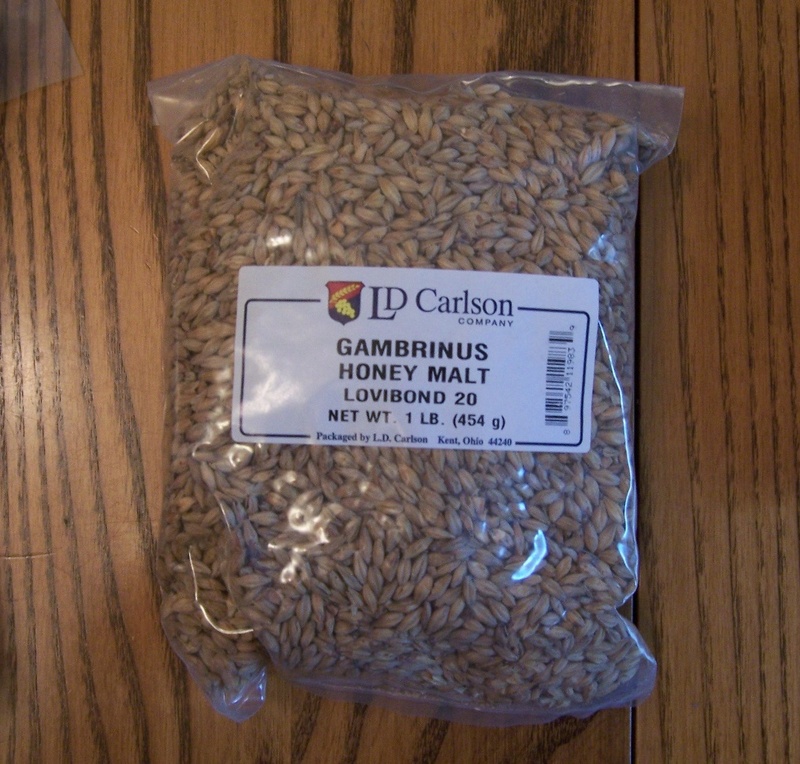 Some non-North American versions of this malt (Gambrinus Malting is based in Armstrong, British Columbia, Canada) are Weissheimer Bruhmalz and Weyermann Melanoidin. It looks a lot like caramel malt but it’s processed in a way so that there is no roasty/astringency (that is sometimes associated with caramel malt’s flavor profile). The process involves restricting the oxygen flow during the sprouting process and this develops sugars and rich malt flavors that makes the malt taste the way it does. Flavor: Intense malt sweetness with hint of a honey like flavor. Lacks caramel malt’s sharp bite. Body: It gives your beer a smooth, honey-like texture. Use: Most sources said “specialty beers” which to me means “pushing the envelope” beers. More typical suggested styles included: Brown ales, summer-style pale ales, and belgians. Does honey malt need to be mashed or is it just used as a specialty grain? I recently did a partial mash cream ale with honey malt in it. I mashed the 2-row, but steeped the honey malt. Good question. It can be mashed, it does have some diastic power…but you should mash it with a base malt. It shouldn’t be used alone as a base malt. Think of it as a really light caramel malt. You can use it as a specialty grain and just steep it. Honey malt is tough. It has a diastatic power of around 50, where the minimal diastatic power to convert is typically around 35. So Honey Malt has the ability to do some starch conversion, but its not as potent as 2-row per se. Honey malt can be steeped for sure. But its full potential is released when included in a mash, preferable with some base malt to assist in conversion. The manufacturer typically recomends up to 20% of the mash with Honey Malt for a unique flavor. That is definately the top end though if you want to brew something that is dominated by Honey malt flavors. I just did a 50 percent honey malt 50 percent pale malt. Now I see I probably overdid it. What can I expect the beer to taste like in a week? Taste it and let us know. I bet it was crazy sweet, nutty, malty. I am going to try using this to make a honey lager with honey used as an adjunct as well as the honey malt. The base malt will be Cargill Euro Pils. Will likely use a small amount of roasted malt to give it some colour. Any ideas on what Hops and yeast would be best to use? Try WLP838 Southern German Lager yeast. For hops, go with Hallertaur or Saaz. Nice – thanks for the comment. I will try that out.